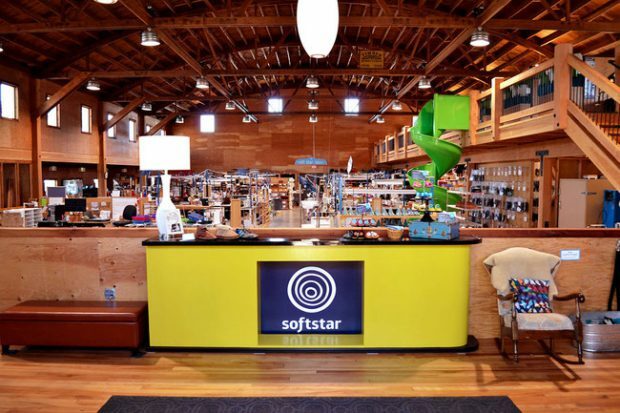 What many in the town of Philomath, OR, long saw as an abandoned roller rink eyesore smack dab on Main Street, the executives of Sofstar, a manufacturer of handcrafted leather footwear, saw as something worthy of restoration to become its new manufacturing and retail digs. First opened in the 1940s and vacant since the mid 1990s, the former Phil-O-Rink’s spacious barrel-vaulted building has been fully and sustainably repurposed, offering both tours of the company’s manufacturing facility and a peek at its roller rink past via exhibits that dot and enhance the retail space. The restoration has received a DeMuro award from Restore Oregon in recognition of its excellence in architectural preservation. Restore Oregon states all of this year’s DeMuro Award winners were selected for extraordinary quality, creative problem-solving and notable community impact. Restore Oregon launched the DeMuro Awards program in 2013 to publicly recognize teams of architects, designers, contractors and property owners for committing to restoring and honoring Oregon’s historic architecture and cultural heritage. The award is named in honor of Art DeMuro, whose redevelopment of historic properties set the standard for quality, creativity, persistence and business acumen. 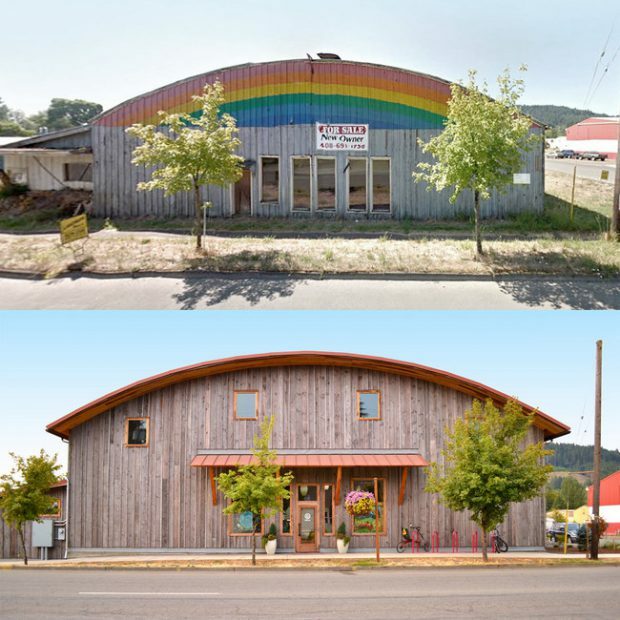 A before and after view of Softstar’s renovated workshop in Philomath, OR. No roller skating allowed, just shoe shopping.